At the ICOI we welcome newcomers and encourage their immediate participation! What Does ICOI Membership Say About You? 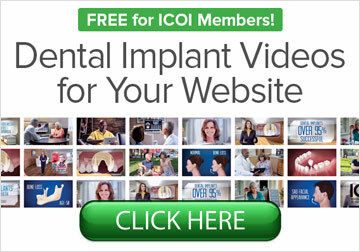 ICOI membership signifies commitment to continuous study and training in the field of implantology, whether placing or restoring dental implants. Our members develop professionally by participation in a “true family” of international colleagues who are deeply committed to implant education. The result is a strong foundation of quality treatment for their patients. Implant team members must also remain current. The ICOI offers updates in the latest implant procedures, devices and technology through a full spectrum of educational avenues. Fellows, Masters or Diplomates of the ICOI have pursued voluntary programs that evaluate and examine their knowledge of implant dentistry by experts in the field. They have been recognized by their peers and are local leaders as well as global ambassadors. They have accepted a lifelong commitment to learning as well as to promoting ICOI’s renowned international camaraderie. For membership questions, please contact the ICOI.